Investing in a solar panel might seem like an exhilarating experience indeed but do not get too carried away by all the advertisements! 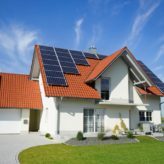 It is essential to concentrate on the most crucial aspects of buying a solar panel for your home. It is definitely a substantial investment, and you’ll be utilizing its benefits for a long time to come, which is why some thought must go into choosing the right one.